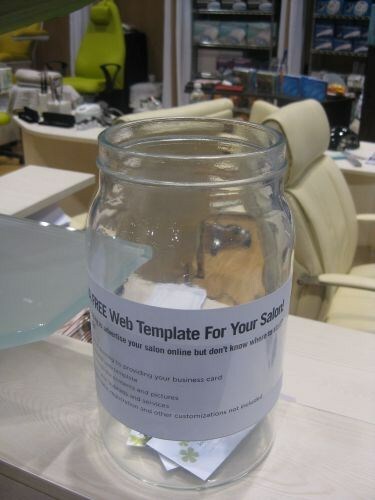 Drop your business card into the jar at The Nail Superstore’s booth for the chance to win a free salon website. The Nail Superstore just launched a salon website template business as a new offering, and this giveaway will let three nail salon owners try out the service. If you win, you’ll simply have to complete a simple spreadsheet with your salon’s information, then The Nail Superstore team will upload it into a nicely formatted website for you. The drawing will be on Monday and you don’t have to be present to win.